Michael Sean Cole is famous for his stage name Michael Cole. This former journalist turned professional wrestling commentator, show host, and voice actor has a net worth of $4 million. He currently works for WWE where he is the play-by-play commentator on Raw pay-per-view events. Coulthard started his career in media as a journalist for CBS Radio. His first high-profile assignment was the coverage of the 1988 US presidential campaign of Democratic Party nominee Michael Dukakis. Last 1992, he reported on Bill Clinton's presidential campaign. In 1993, Coulthard covered the 51-day siege at the Branch Davidian compound in Waco, Texas. The following year, he provided coverage for the Yugoslavian civil war for nine months. In 1995, he was chosen to cover the aftermath of the Oklahoma City bombing. In 1996, he returned to the presidential campaign trail to cover the campaigns of Sen. Bob Dole and Steve Forbes. On an episode of Raw last March 30, 2015, Brock Lesnar attacked Cole, Booker T, and JBL. It happened after Seth Rollins refused a rematch with Lesnar for the WWE World Heavyweight Championship. Cole suffered a severe internal bleeding which was why he did not appear on the commentary the next week. 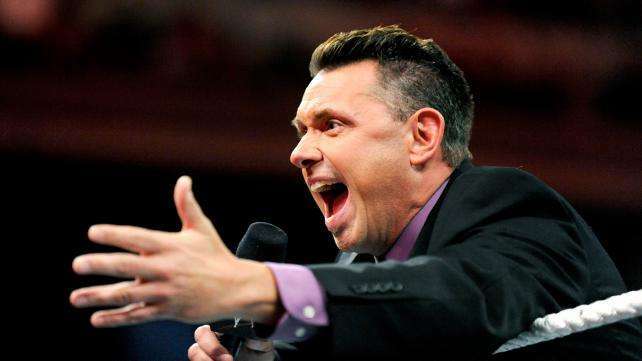 Last December 2013, Cole became a special guest announcer for another WWE employee for Booker T's professional wrestling promotion Reality of Wrestling. The below financial data is gathered and compiled by TheRichest analysts team to give you a better understanding of Michael Cole Net Worth by breaking down the most relevant financial events such as yearly salaries, contracts, earn outs, endorsements, stock ownership and much more.